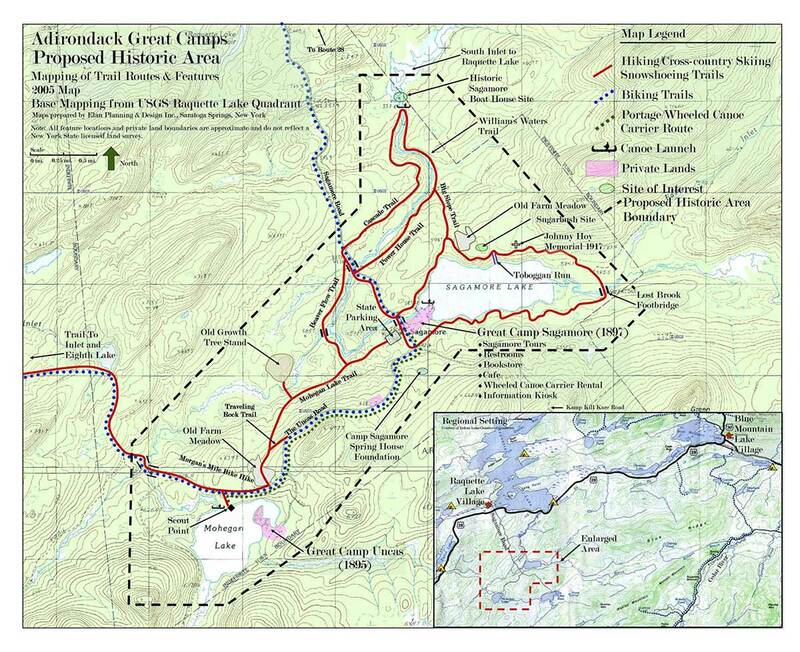 Camp Uncas sits within the newly created “Great Camps Historic Recreational Area” designated by the New York State Department of Environmental Conservation as part of the Moose River Plains Wild Forest and Blue Ridge Wilderness Areas. Hiking. 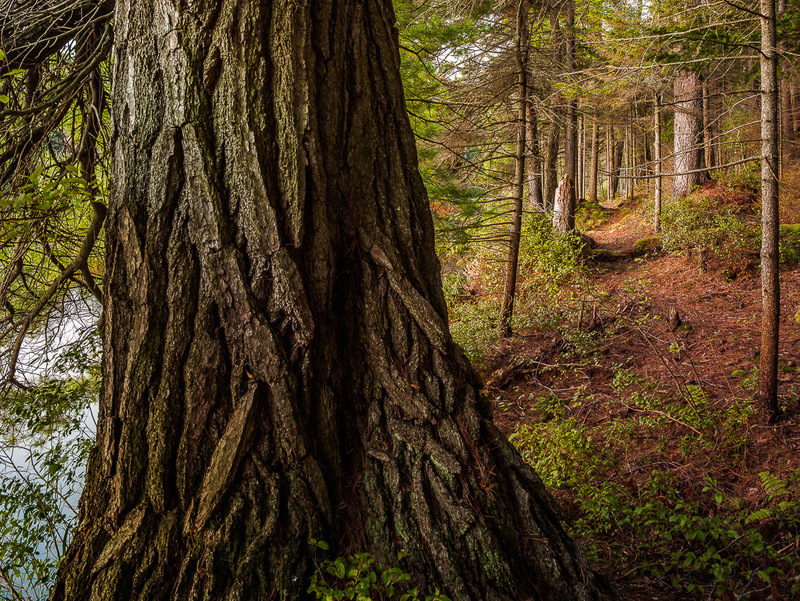 Most lakefront properties in the Adirondacks require a drive in a car to get to trailheads for good hiking. Camp Uncas is unusual because it sits deep within the wilderness, surrounded by many hiking trails accessible right out the door. From the 2.5 mile trail around the lake, the hike to the former “Boy Scout Beach”, “Picnic Rock”, “Cathedral Pines”, the “Big Birch Loop”, Eighth Lake Campground, or the trail up “Met-Wel Mountain” with its beautiful view of the surrounding wilderness, Uncas owners and guests have numerous hiking options right from the property. A two or three-mile car ride to Sagamore opens up many more miles of trails around Sagamore in the Blue Ridge Wilderness. 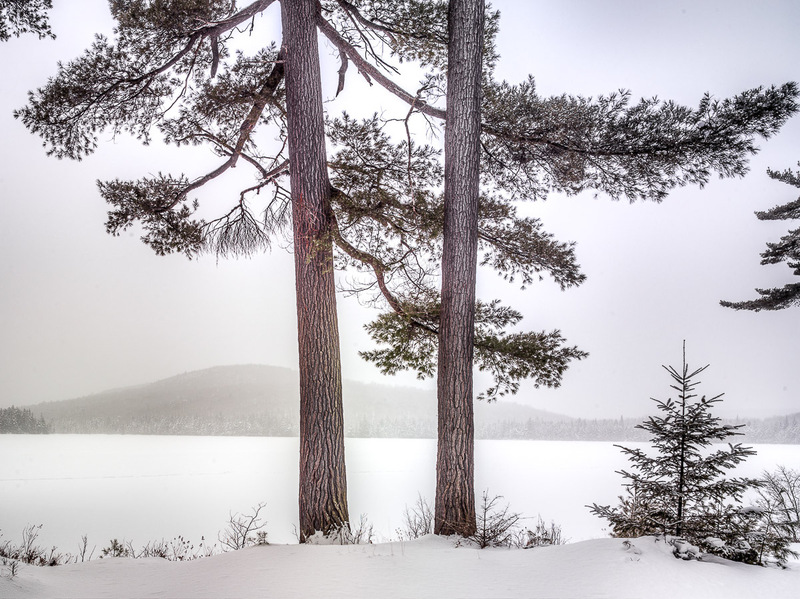 A half-hour drive reaches still more trails and mountain climbs around Raquette Lake, Blue Mountain Lake, Inlet and Eagle Bay. Swimming. There are two waterfront areas available to the Main Lodge section of the property. 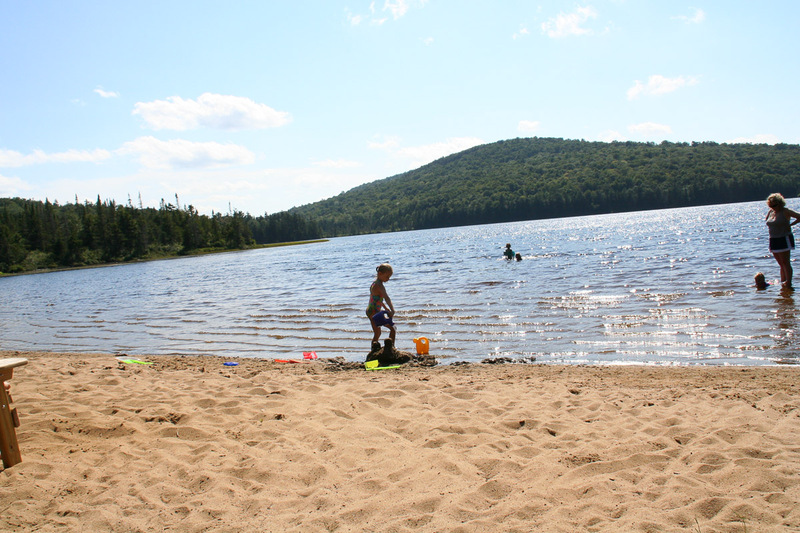 The main beach at Camp Uncas, a two or three-minute walk from the Main Lodge, is as fine a beach and swimming area as on one can find. One can walk out along a gently-sloping, clean, sandy bottom until over one’s head. It’s a perfect recreational spot for adults to sit and swim and for children to play in the shallow water near the shore or on the large sandy beach area. 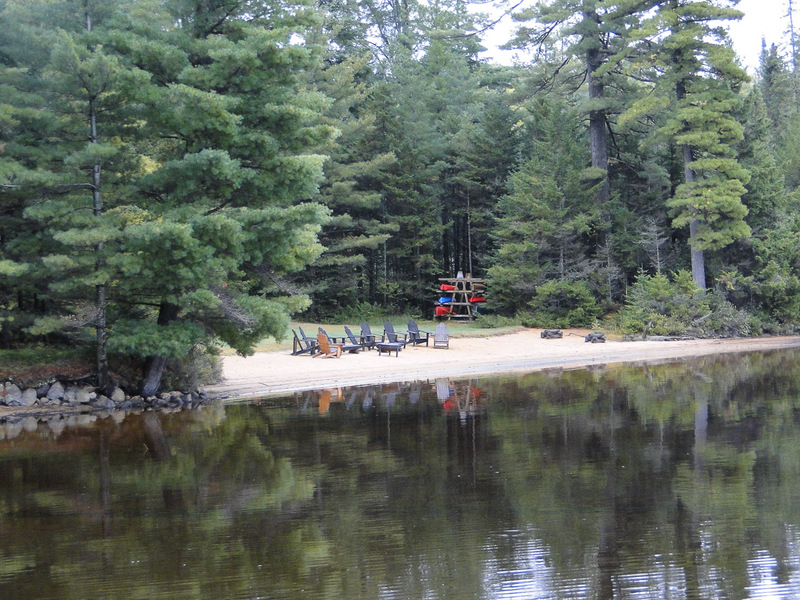 The Main Lodge section has a deeded right of way to access and use the main beach along with the other camp owners and guests, although it’s rare when other owners or their guests are there at the same time. For even greater privacy, the Main Lodge parcel has a small lawn area at water’s edge in front of the lean-to, from which one can step into the shallow water. Boating. Mohegan Lake is a 156-acre body of water, over a half-mile long in its longest dimension and about three-eighths mile across from the Main Lodge shoreline to the opposite shore. 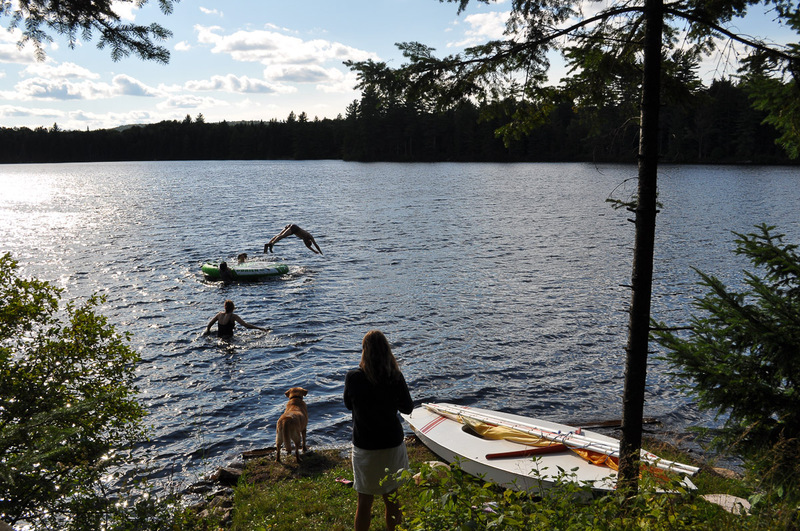 Because Camp Uncas is built on a peninsula, this creates a smaller “lagoon” section of the lake. 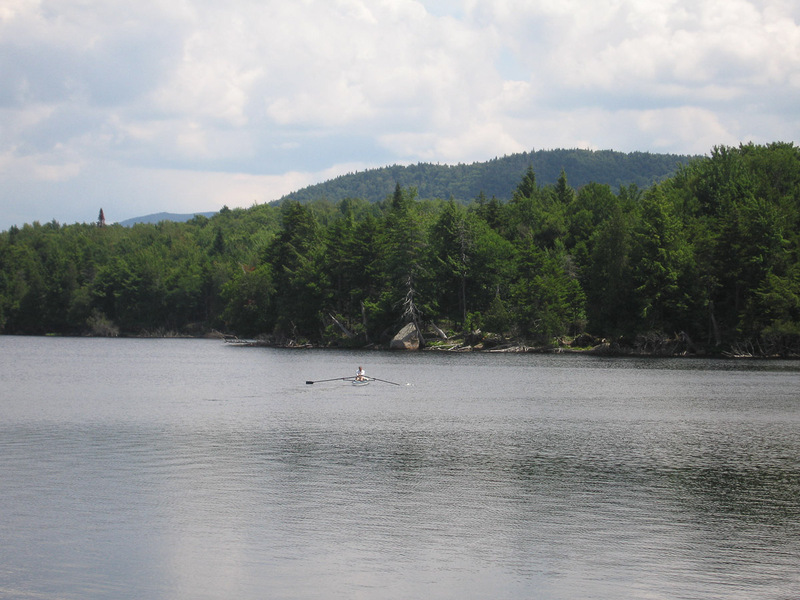 The lake is ideally suited for canoeing, kayaking, rowing, Sunfish sailing, windsurfing and paddle boarding. By deeded agreement among the owners of Camp Uncas, in order to protect the quiet and serenity of the lake setting, motorboats are not allowed. Fishing. With a depth of 60 feet in its deepest part, Mohegan Lake is known for its excellent fishing for lake trout, brook trout, and northern pike. Skiing. Much of the hiking trail system around Camp Uncas and Sagamore is also excellent for cross-country skiing. For downhill skiing, Camp Uncas is 45 minutes from the major New York State Gore Mountain Ski Center in North Creek and from the McCauley Mountain Ski Center in Old Forge.